With school being out and normal schedules and routines being a little more flexible, it's still important to keep the love of reading going strong on a daily basis. 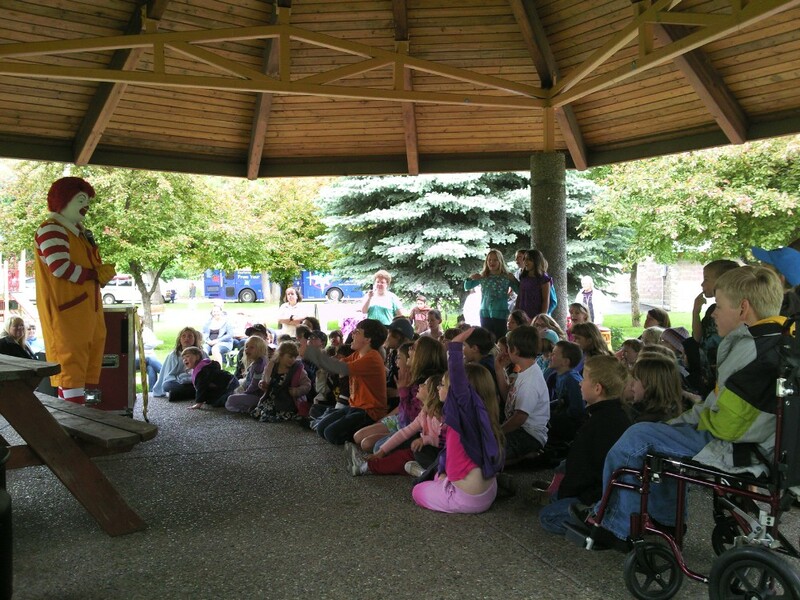 That's one of the reasons why we participate in our local library program: Summer Reading in the Park. 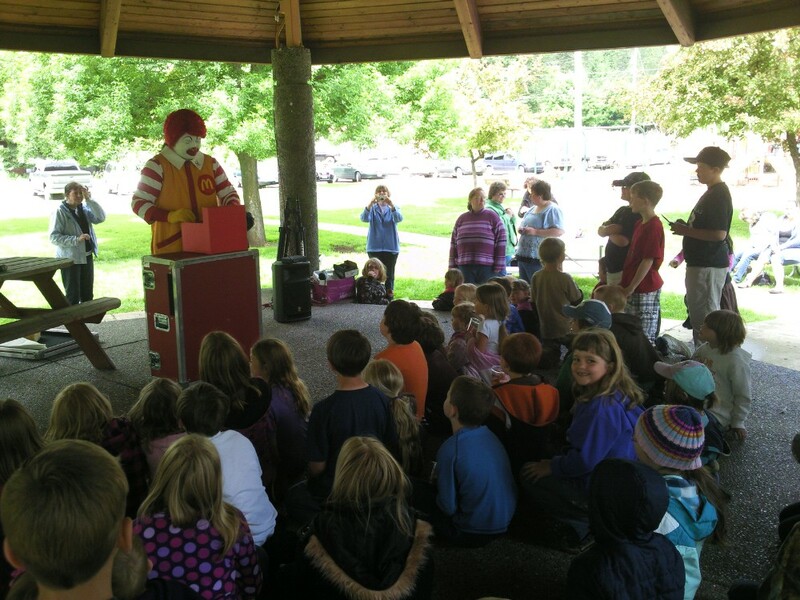 Each Thursday is a different guest speaker, story, games and activity for the children. My 10 year old son really isn't as excited about this activity as my 7 year old daughter is but we still go and enjoy ourselves. 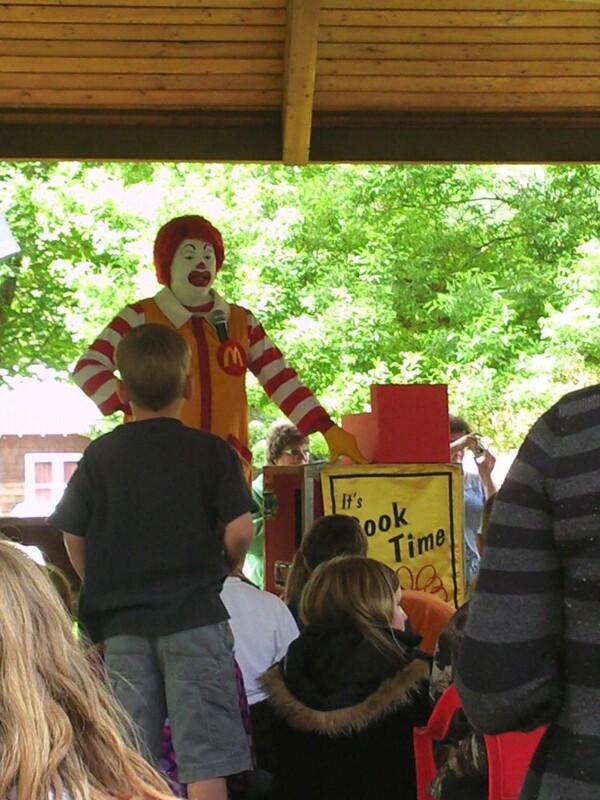 My daughter's favorite was when Ronald made his visit. He shared stories about places he's been and things he's seen. He also performed numerous magic tricks. Does your library offer a summer reading program? What a fun summer reading program.